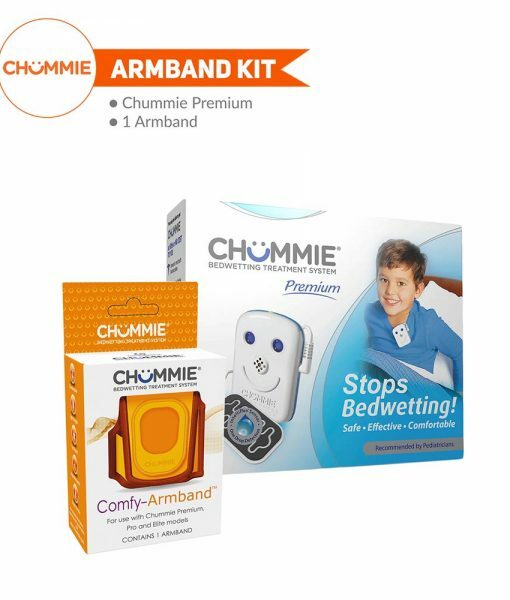 Chummie alarms are widely recommended by pediatricians to stop bedwetting. 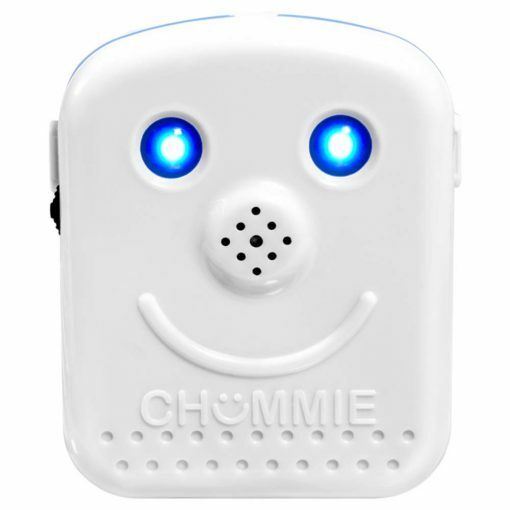 The Chummie alarms have won numerous awards for their novel technology and support. 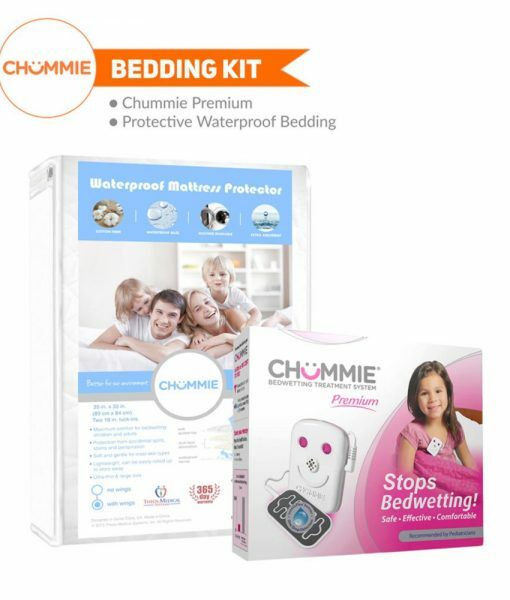 Chummie Premium Bedwetting alarm trains even the deepest sleepers to stop bedwetting and sleep dry throughout the night in just a few weeks without medication. As urination begins Chummie’s unique, patented sensor detects the first drop of urine. The alarm’s patented bright light, loud sound and strong vibration goes off to wake your child as bedwetting occurs. Chummie teaches your child’s brain a connection between the bladders full signal and waking. In weeks, your child wakes sooner and sooner until he/she stops bedwetting permanently. The sensor is the most important elements of an effective bedwetting alarm. Our revolutionary, patented IntelliFlex sensor is designed to deliver results without compromising your child’s comfort. The sensor uses advanced technology to detect urine at the very first drop and set off the alarm, training your child to stop bedwetting. IntelliFlex sensor features a large urine detection area so your child never misses a bedwetting accident! The large sensor is ideal for boys and girls of all ages and holds securely in place with Flexitape. Microprocessor controlled alarm is compact, discreet, weighs only 1oz. The alarm offers 2-step shut off system – that is your child needs to press the button and pull the cord. Your fully awakened child will use the toilet to finish urinating. Alarm unit also detects when the sensor is disconnected at night or when battery needs to be replaced so you never discontinue the treatment. Access the FREE Smartphone App from any mobile phone or tablet to get help, special offers, watch instructional videos, read FAQs, and contact support team with a click. 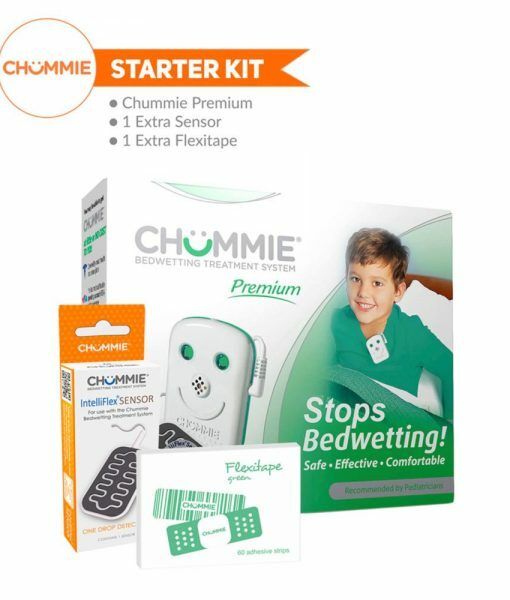 Chummie premium bedwetting alarm comes with everything you need to start your treatment tonight. The box contains compact alarm unit, Intelliflex sensor, Flexitape and motivation reward system to track your child’s nightly progress and increase confidence needed to overcome bedwetting. 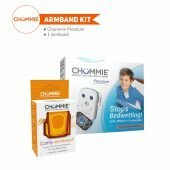 Award winning Chummie alarms are manufactured by Theos Medical Systems, a leader in incontinence management and treatment. Securely attach the IntelliFlex sensor outside the underwear with hygienic Flexitape. Place alarm unit on your child’s t-shirt or use the Chummie Armband for comfort. On detecting the first drop of urine, Chummie puts its loud sound, bright lights and strong vibrations to work and wakes up your child immediately. In few weeks, your child wakes sooner and sooner, finally beating the alarm, and achieving dryness. Your child overcomes bedwetting and sleeps dry. 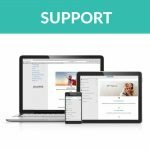 Access tips and tricks, FAQ’s, troubleshooting, videos, or contact our dedicated support team with a click from your phone or tablet. What is the difference between Chummie Premium Alarm and some other alarms you carry? Chummie premium has 8 loud alert ‘Selectable Tones’, so you can set the alarm to your favorite tone each night. The alarm features 2 volume levels designed both for regular and deep sleepers. With two visible bright lights and vibration, Chummie Premium is a parent favorite. This alarm is powered with a soft, flexible, hypoallergenic silicon sensor that detects the first drop of urine and does not cause skin rash. 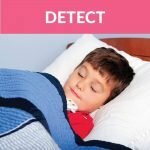 Is it easy for my six year old child to set up the alarm on his own after each bedwetting accident? No worries. Chummie Premium can be easily setup by a child fours year and above. Multiple functionalities are put into one easy to use button known as the 3-way switch which lets you change the features on the alarm. We recommend you go over the manual step by step with your child to them used to the alarm. How often do I have to change the Alarm batteries? Batteries on the Chummie Premium Alarm should last through the life of the treatment. When the IntelliFlex sensor is disconnected during daytime storage, the batteries should last a year or longer. However in a rare case when the batteries are low, they can be replaced in no time at all. The Chummie Premium uses 2 AAA batteries. 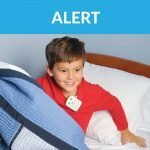 Should the sensor be cleaned after every bedwetting accident? Most definitely, the IntelliFlex Sensor on the Chummie Alarms is recommended to be cleaned after each use. Please ensure the sensor is dry, prior to reconnecting it to the alarm. How many Flexitapes comes with Alarm? Each box consists of 60 Flexitapes. Additional Flexitapes can be purchased separately. You can contact us at (800) 230-6775 if you prefer to order over the phone. What is the right way to position the sensor? • Attach the sensor to the outside of your child’s undergarment. Ensure that sensor front (black face) touches the undergarment. Tape the sensor back (white face) with Flexitape. • DO NOT tape the black surface of the sensor as shown below. • If your child sweats at night, to avoid false alarms, tape the sensor and place between two pairs of undergarments. Sensor front must face your child. Run sensor cord underneath the shirt. 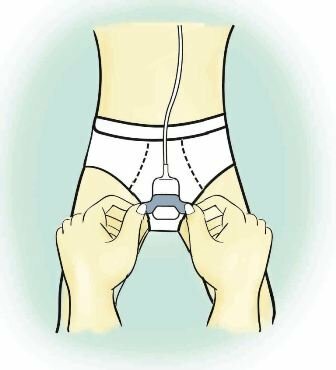 • To start monitoring for bedwetting events, insert the sensor plug into the sensor jack. The alarm unit will beep twice signaling a successful connection has been established. 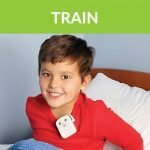 Is the alarm loud enough to be heard in the next room so if I am not sleeping with my child I can hear it to help him wake up in the night? The alarm is loud enough to wake up the child. Whether the alarm can be heard in the adjacent room, depends on many factors such as the size of the room, distance between both rooms and the location of your child’s bed. My son is a tummy sleeper will this alarm work for him? Sure, the alarm works for children who sleep on their tummy, back or sideways. The way your child sleeps shouldn’t impact the treatment. If you have a specific question, please reach one of our bedwetting specialists. My 11 1/2-year-old son has never had a dry night before we started using this alarm he was just as frustrated as we were. After using the alarm for about a month he is waking up dry on his own!